i tried reading about, but didnt find any solution to this. Is this the default behaviour or did i missed/messed up something? Maybe try setting the colour of the page background. I don’t think that’s possible directly in blocsapp though. You’ll either need to create an external stylesheet or edit the html. Posted this to another post, but should work here too. 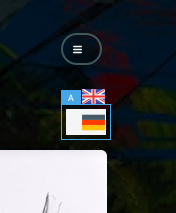 The only way that I have found to change the drop down menus background colour is to pop in a class with a blank image of the required colour. Not idea, but it does remove that stark white. my first thought was as pauland suggested, now i want to try MartinC’s way as well.